Edited by maddog10, 04 January 2019 - 07:06 AM. 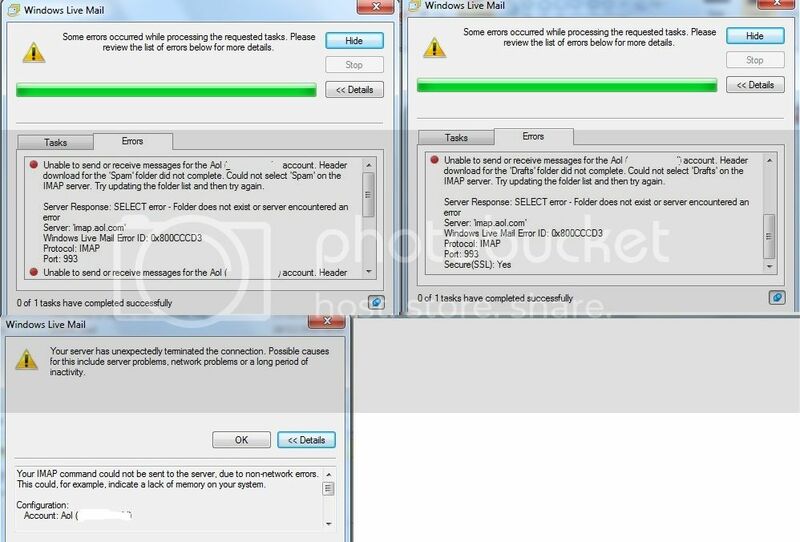 Error 0x800CCCD3 translates as BAD_RESPONSE, in other words Windows Live Mail did not understand the response from the server. This is an old issue. Is there a way to get it to understand?